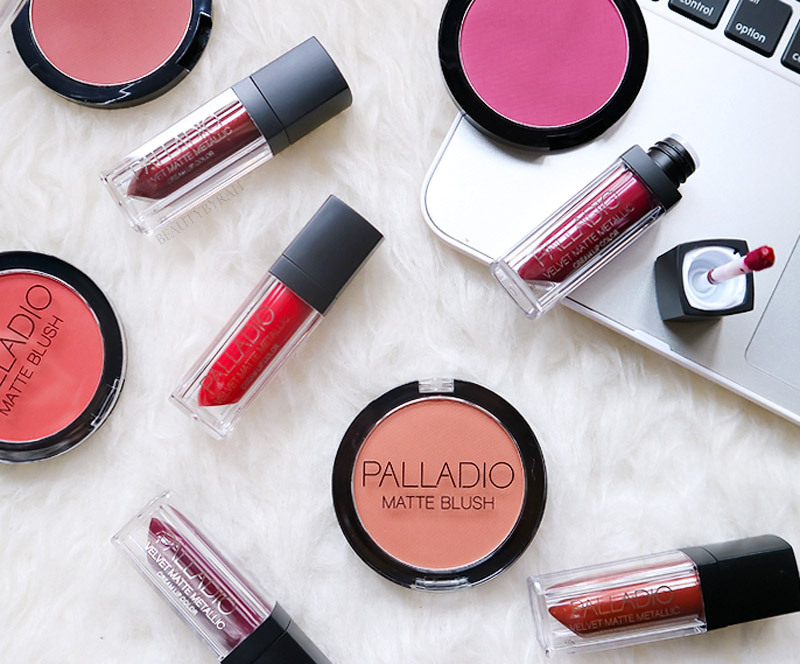 Recently, I got sent the Palladio Matte Blushes and the Velvet Metallic Matte Lip Creams so I'd thought I would let you see some swatches as well as share my first impressions/review with you. I received 5 shades of the Velvet Metallic Matte Lip Creams and I was pretty excited. 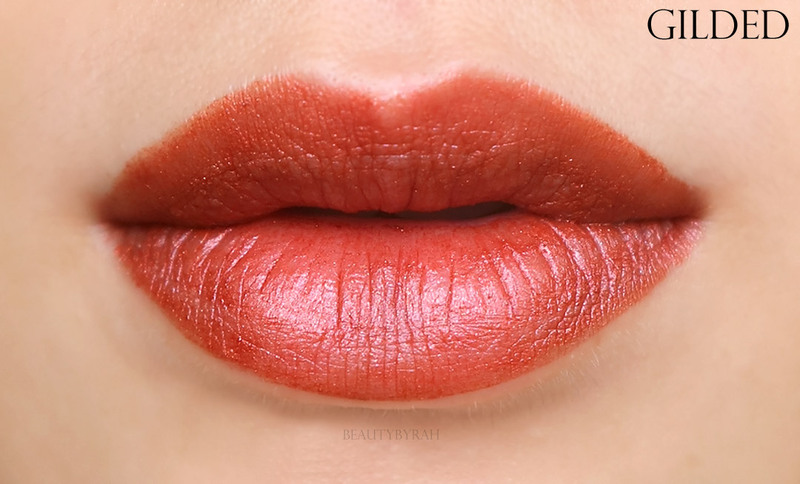 Many brands have been pushing out metallic lip creams in the past few months and it is nice to have a drugstore alternative. The packaging is the same as that of their Velvet Matte Cream Colour, which till this date is still my favourite range of liquid lipsticks. I love them. So naturally, I had high hopes for these new metallic ones. Firstly, let me just say, the name itself is an oxymoron, isn't it? In my opinion, matte and metallic are pretty similar to opposite ends of the spectrum, but hey maybe that's just me. These comes with the typical doe foot applicators like the previous range as well. These retail for SGD 11.90 each! 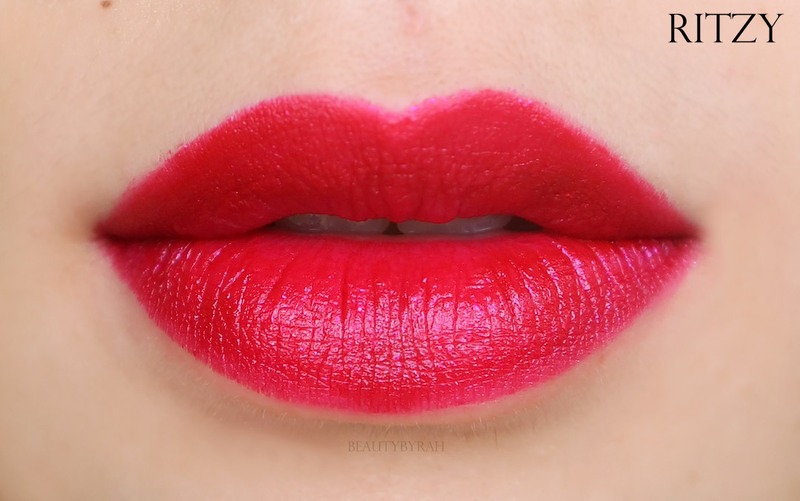 When swatched on the arm, the metallic sheen wasn't as obvious as it was on the lips so I decided to show you both. I did find that the intensity of the metallic sheen varies per shade, and I find that the more metallic it is, the more patchy it is when it comes to application. These also were more drying on my lips as compared to the normal Matte range. 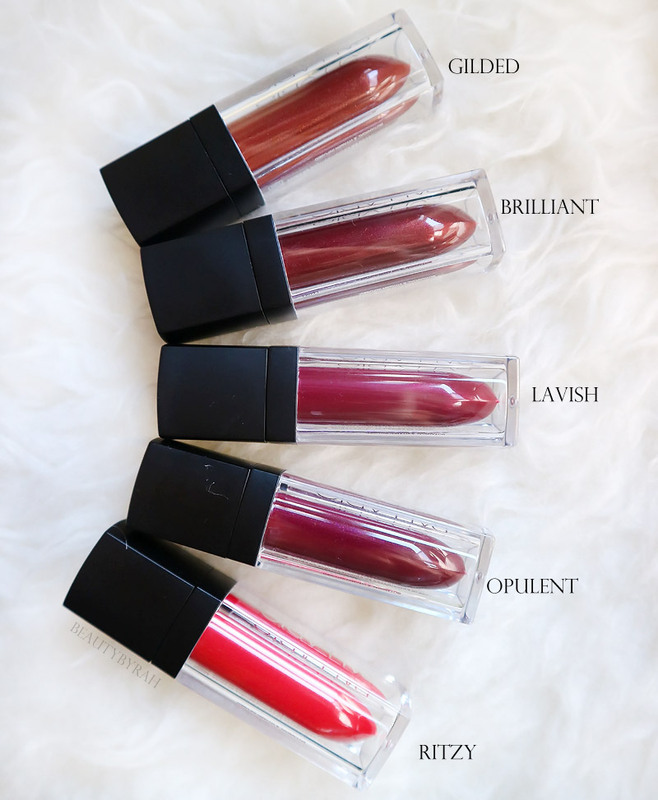 I have to play with them more before really saying so, but from when I applied it for lip swatches, these were my first impressions. 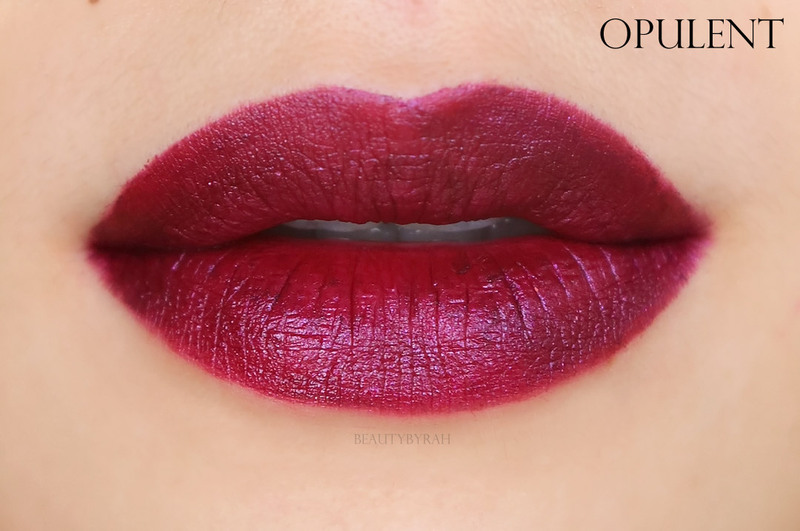 I did not fancy Brilliant, Lavish and Opulent on my lips as I found that it emphasised my dry patches and lines a lot more than normal. Gilded was metallic as well, but I found it to be less so, but it could be because the shade isn't as dark as the rest. 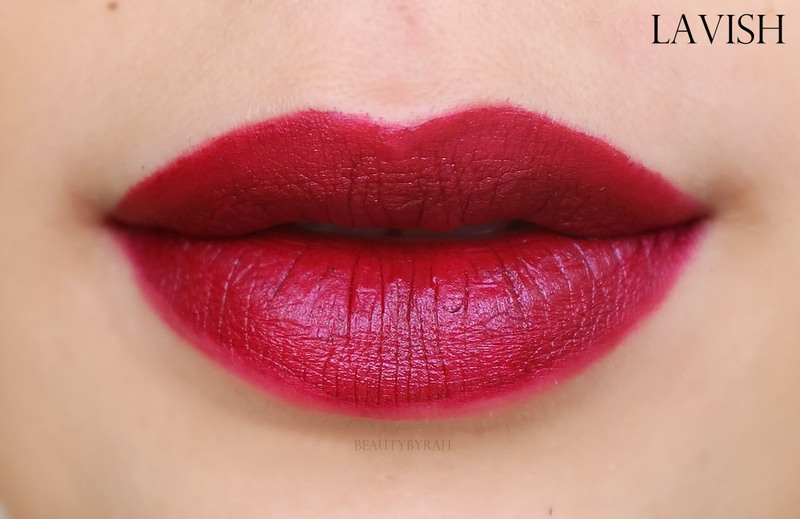 Ritzy was one that applied really nicely on the lips and it did not feel drying. This shade is the least metallic of the range as well. Moving onto the Matte Blushes, which I thoroughly enjoyed. These are really pigmented so I always have to tap off excess and it blends pretty easily on the skin. I have been using them daily for about 2 weeks now and I am impressed with the staying power as well. These last the whole day on me and trust me, these few days, my days are looooong. There are 4 shades available and they are retailing for SGD 8.90 each, which is super affordable and you get 6g worth of product which is definitely decent. 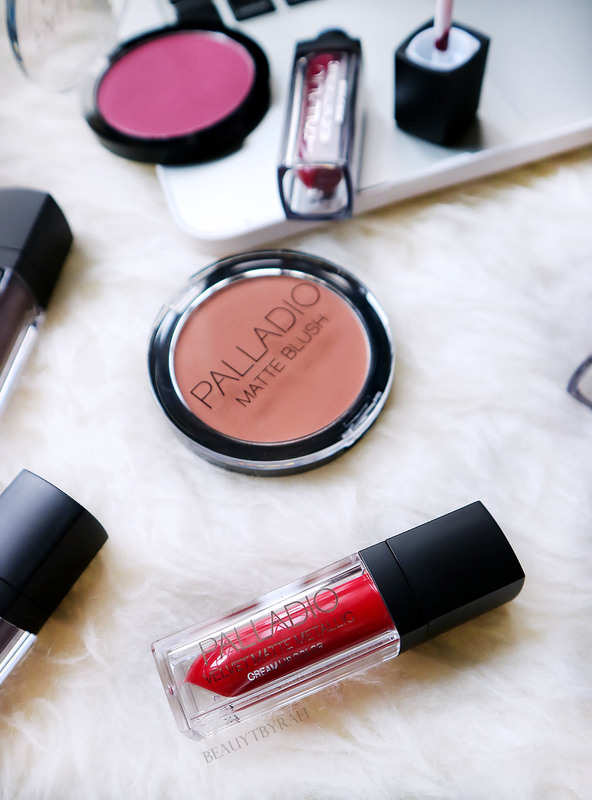 I always liked Palladio as it is really an affordable brand in the drugstores here in Singapore and the products are of impressive quality for the price. 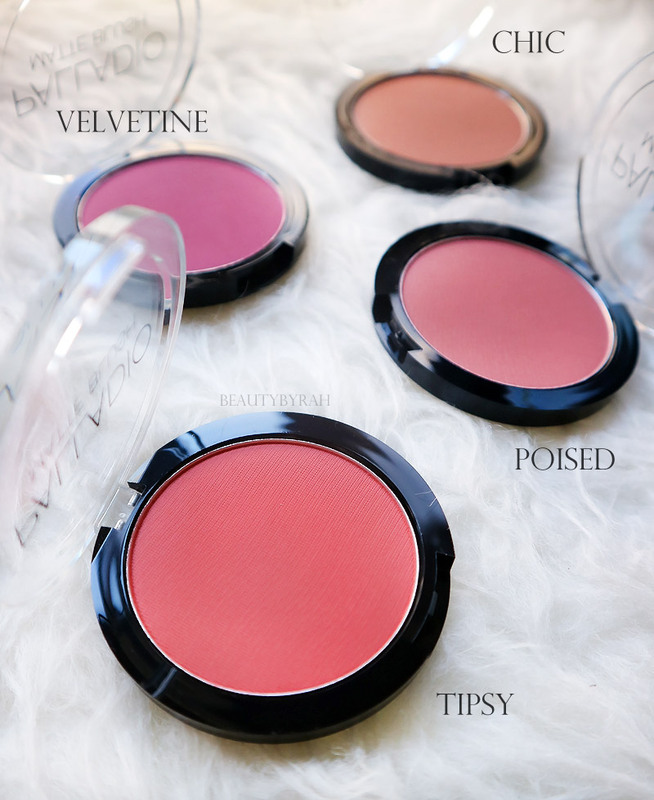 I do highly recommend you checking out the matte blushes. 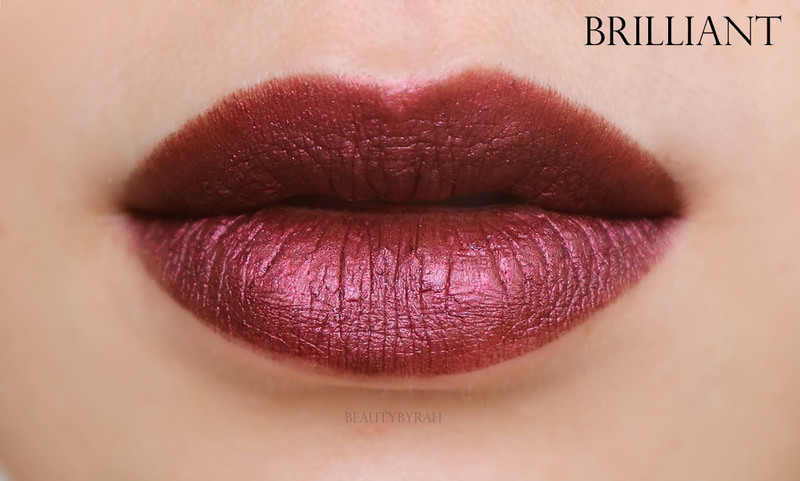 The Velvet Metallic Matte Cream Colour is a worthwhile affordable option if you're into metallic lips or if you want to give the whole trend a try as well. I still highly recommend their regular Velvet Matte Cream Colour (especially the shade, Raw Silk) though. That is always something I will repurchase. 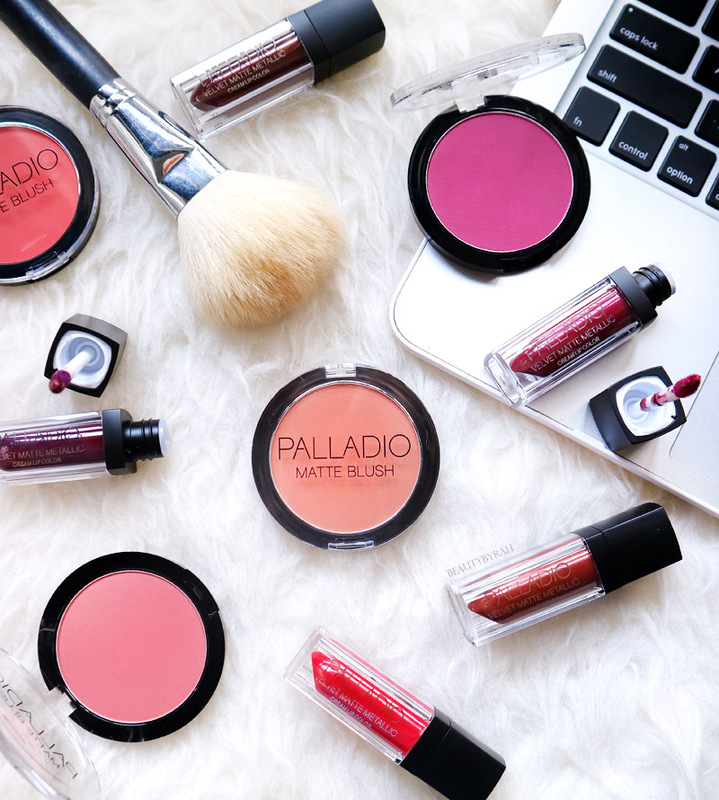 Have you tried anything from Palladio before? 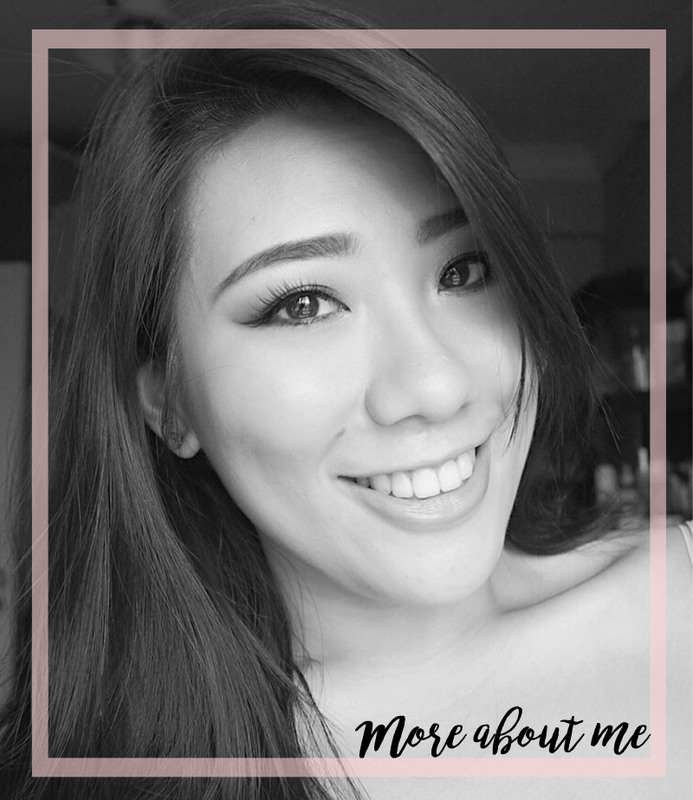 Do share as I want to try more from them! **These products were sent via PR with no obligation to post. Only honest thoughts are shared here, with no influence from others. I am not compensated nor affliated to the brand.